Horse lovers rejoice! We are finally seeing a general increase in the ownership of horses. After a few years of decline, the increase in ownership in recent years is encouraging for horse enthusiasts and equestrian-related businesses. If you are looking to purchase a horse or build a stable, 2016 is a great year to do it! According to AVMA.org, almost 90 percent of horse owners plan to own or manage the same number or more horses this year compared with last year. Based on this survey, researchers believe that the equine industry has recovered from 2007’s Great Recession. A stabilized industry is good news! To gauge concerns from horse owners, researchers reached out to participants to identify what they felt were critical issues in the equine industry which might relate to declines and increases. 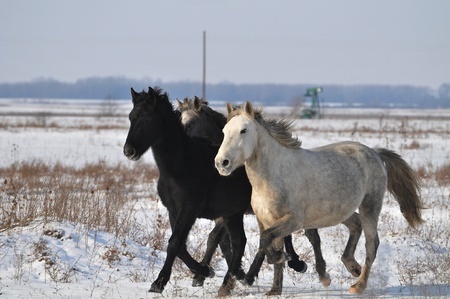 They received more than 10,000 responses from last year’s survey, with more than 50 percent saying that they felt deciding what to do with unwanted horses was a top issue, says AVMA.org. Depending on the geographical location of the participant, there were concerns about not having the option of horse slaughter in their region. Other issues included the cost of keeping horses, overbreeding, owners who don’t understand horses, the loss of riding areas and competition for open space for the horses. Despite these concerns, research shows that horse owners expect to own more horses and participate in more competitions in 2016, which bodes well for the industry. With a prospective boom in horse owners, or if you are considering buying a horse this year, it is important to have the proper equipment and facilities to care for the animals. Deer Creek Structures uses the finest quality of materials to create custom-built, portable horse barns for their clients. When choosing the right shelter, safety is key. Deer Creek Stables believes your horses deserve a home where they can relax and stay protected from harsh weather and the elements. Call us today at 254-546-2276 for more information.